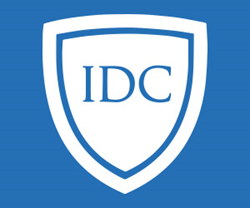 IDC, the nation’s leading advocacy organization for Christians and religious minorities in the Middle East, condemns the use of chemical weapons against civilians by the regime of Bashar al-Assad. In Defense of Christians (IDC), the nation’s leading advocacy organization for Christians and religious minorities in the Middle East, condemns the use of chemical weapons against civilians by the regime of Bashar al-Assad. On Saturday, April 6th, Syrian opposition activists, rescue workers and medics reported that more than 40 people were killed in a chemical attack on Douma, a rebel-stronghold in the Eastern Ghouta region of Damascus. IDC calls for a strong international response led by the United States to punish the Assad regime for its use of chemical weapons, the targeting of de-escalation zones and carpet bombing civilians. Assad’s actions have caused a refugee crisis to overwhelm neighboring Lebanon and Jordan. Allowing his bombing and gas attacks to continue will add to the refugee crisis and the economic and political owes it has created, particular for Lebanon. Strong, swift and targeted action must be coupled with a long-term strategy in Syria. To that end, IDC calls for a sustained American presence in Southern and Eastern Syria to combat ISIS and serve as a check on Iran, the Assad regime, and allied Shia militias while allowing Syrian refugees to return to their homes.